When someone decides to hire an attorney, it usually means that a situation has gotten too complex to handle without an attorney. You trust your lawyer to help you. But what do you do when the lawyer makes things worse instead of better? If your attorney made things worse, instead of better, you may have a case for legal malpractice. Suing for legal malpractice can jeopardize the relationship among attorneys, resulting in many lawyers refusing to consider suing another lawyer. We believe that a failure to provide a method of recovery against a lawyer that made a mistake is a failure of the legal system to provide justice for all. For legal malpractice claims, call us. A legal malpractice case based on negligent representation requires you to prove that your attorney failed to conform to the standard required by law, and harmed you as a result. Your lawyer forgot to file your lawsuit before the deadline. The longer your attorney ignores you and your case, the more likely it is to amount to malpractice. The law imposes deadlines for filing lawsuits, and if your attorney misses a deadline, and causes you harm, you may have a case for malpractice. Your case is thrown out of court because of something your lawyer did or did not do. If this happens, and you cannot get your case filed in court again, the lawyer is responsible for whatever damage you have suffered because the case was improperly handled. Your lawyer settles your case without your authorization. This may be malpractice, because a lawyer may not agree to a settlement without the client’s approval. To succeed in a malpractice case, however, you will have to prove that the settlement your lawyer entered into was for less than your case was worth. You suspect that your lawyer has misused money that belongs to you. Stealing a client’s money is malpractice, as well as a crime. Your lawyer has a duty to protect your money. Complaints about stealing a clients’ money are always taken seriously, and if proven, you can get your money back either from the attorney, or from the State of Ohio’s fund created to compensate victims. Your lawyer gave you bad advice. This may be malpractice if it can be proven that a competent lawyer would have known not to give the advice that harmed you under the same or similar circumstances. Every case is unique, and will have to be evaluated based upon its own facts and circumstances. If you believe that your attorney has committed legal malpractice, and you want to talk to somebody who is willing to hold an attorney accountable for mistakes that were made, we can help you. 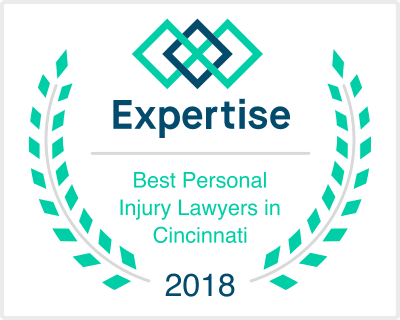 For an initial consultation contact us at (513) 985-2500 or email us at info@phillipslawfirm.com or click Chat Now!® to get started immediately.